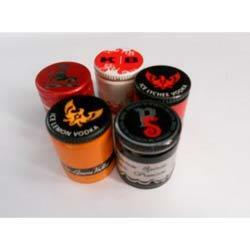 Being a quality focused organization, we are engaged in offering Printed Closures. These products are manufactured using high grade raw material under the guidance and supervision of our experts and professionals. Our experts quality test these products on various parameters so as to ensure that all the products offered by us are qualitative. We offer these products at the most affordable rates to our clients. Leveraging on the vast experience of the industry, we are engaged in manufacturing, supplying and exporting Top & Side Printed Closures. All these products are manufactured by using high quality material and following the established guidelines of the industry. We offer these various specifications and also in customized range, so as to meet the exact requirements of the customers. Our experts monitor every stage of production, so as to develop qualitative product range and remove defects, if any. Backed by the profound experience of this domain, we are engaged in manufacturing, supplying and exporting Dry Offset Printed Closures. All these closures are manufactured under the strict supervision of experienced professionals, in accordance with industry laid guidelines. Further, our professionals utilize premium quality aluminum to manufacture these printer closures offered by us. 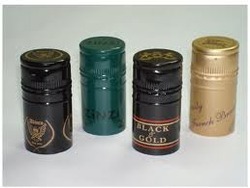 The range of closures offered by us are ideally used for wine bottles. All these caps are made available by us in various specifications as well as in customized range as per the requirements of the patrons. We supply a wide range of dry offset printed caps for wine bottles with molded inner thread to give a look of over cap sleeve on cork sealed bottles. Looking for Printed Closures ?